With a legacy spanning more than 85 years, the Vik family has a long-standing connection with The Edward R. Murrow College of Communication.With a legacy spanning more than 85 years, the Vik family has a long-standing connection with The Edward R. Murrow College of Communication. The legacy began with Les Jochimsen, class of 1932. He attended the State College of Washington, as it was called at the time, with Edward R. Murrow himself. Following in her father’s footsteps, Les’ daughter Christy Jochimsen also attended WSU. It was here where she met David Vik, and the two eventually wed. David, a Murrow graduate, earned his degree in video production in 1964. Using what he learned from the College, David went on to have a career making commercials and long form documentaries. David and Christy’s son, Scott Vik, became interested in video production as a child, after working on projects with his father. Continuing the legacy, Scott graduated from the College in 1987 after studying video production. He now works as the Director of Sports Video for WSU. Tami Vik, Scott’s wife, is also involved in the Murrow College as an Academic Coordinator. In her 10 years of working for the College, Tami has enjoyed the friendly atmosphere, and the collective sense of excitement that students, faculty, and staff share about the program. Tami says her favorite part of her job is working with students and watching them progress from their freshman year to their senior year. Tami feels especially proud to watch her son, Spencer Vik, follow the family tradition and go through the program that she takes so much pride in. 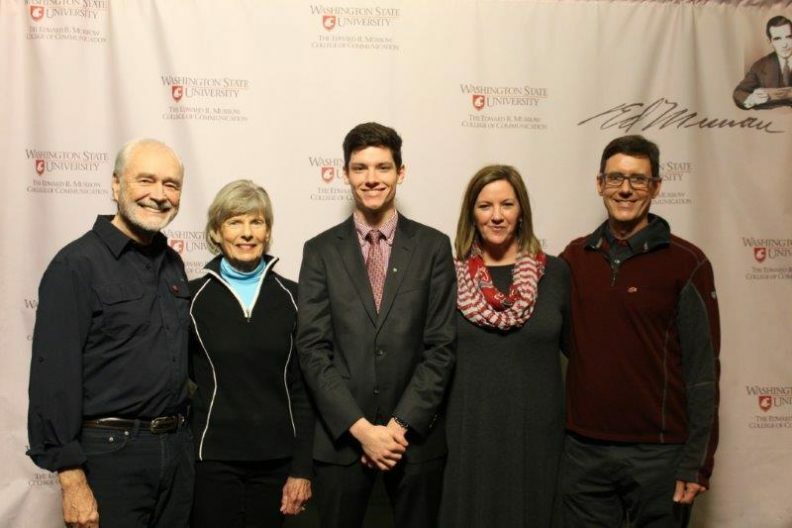 After growing up in Pullman, Spencer initially was reluctant to apply to WSU, but ultimately made the decision to study media production like his father and grandfather. Set to gradate in 2020, Spencer is just beginning his journey through the Murrow College. Upon completion of his program, Spencer hopes to pursue a career in broadcast production.As the Vik family continues to navigate their experience within The Edward R. Murrow College of Communication, their family bond is reinforced, and their legacy continues to strengthen. As the Vik family continues to navigate their experience within The Edward R. Murrow College of Communication, their family bond is reinforced, and their legacy continues to strengthen.